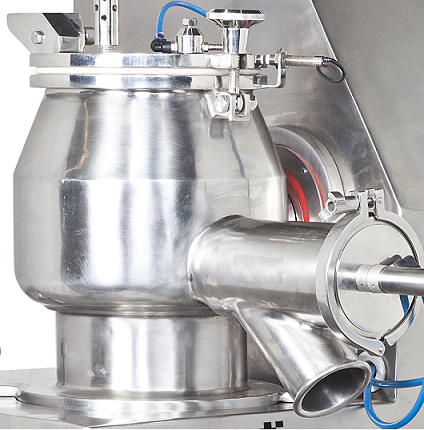 Rapid Mixer Granulator is designed for Mixing of substances uniformly and homogeneously with specially designed and angled choppers and mixer blades (agitator or beaters). Ultimately you get mixture with uniform particle size distribution and uniform product shape (without lumps) is achieved. The air purge sealing system for main stirrer drive shaft and granular shaft. SS316 bowl design in three sections i.e. 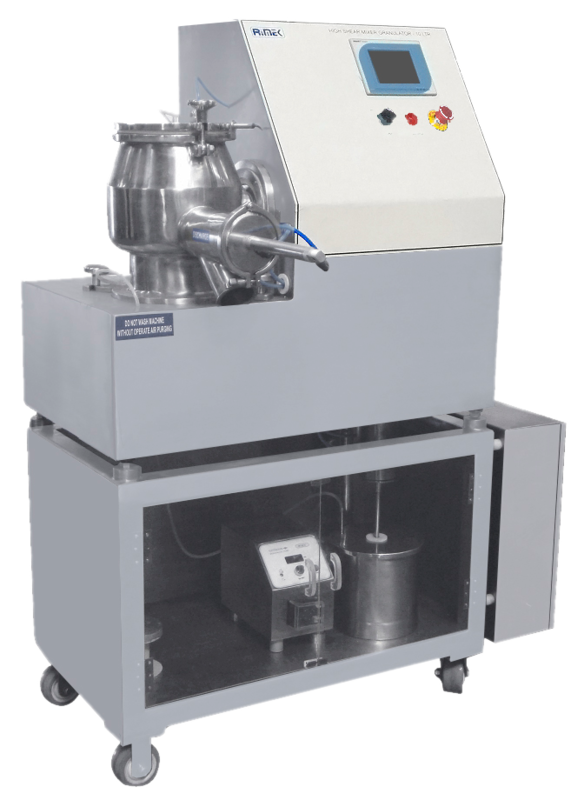 Flat Bottom, Cylindrical Mid Portion and Conical top portion for efficient mixing operation and provided with counter balance lid. SS lid is provided with vent filter, charging nozzle and other nozzle connection as per end user requirement. ACVF Drive for Chopper motor and Impeller motor. Interchangeable bowl 2, 5 and 10 Lit.